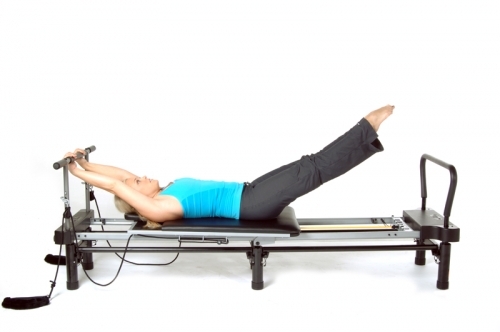 Add the AeroPilates Pull-Up Bar Accessory to your 3, 4, or 5 cord AeroPilates reformer (does not fit the 55-5556 or the 55-5557) to mix up your normal Pilates routine with multiple different excercises to tone your triceps, shoulders, back, biceps and abs. So versitle, it can be used to do excercise such as over- or under-handed pull-ups on your back or knees or even use your abdobmal muscles and pull with your lower body, with arms straight out holding onto bar. This attachment fits any AeroPilates reformer that has pulley risers. Just loosen the locking knobs to remove the pulley risers, insert the Pull-Up Bar Attachment and re-tighten the locking knobs. 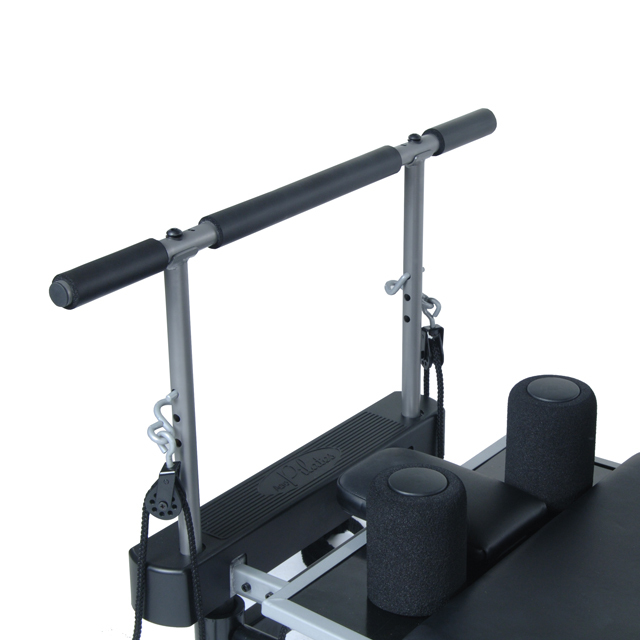 The Stamina AeroPilates Pull-Up Bar Accessory 55-0012 attachment fits any AeroPilates reformer that has pulley risers. To use the Stamina AeroPilates Pull-Up Bar Accessory 55-0012, simply loosen the locking knobs to remove the pulley risers, insert the Pull-Up Bar Attachment and re-tighten the locking knobs. Use one, two, three or four cords to make the pull-ups easier or more difficult. This is a great way to condition your upper body targeting back, shoulders, biceps, and triceps. Order your Stamina AeroPilates Pull-Up Bar Accessory 55-0012 from FitnessZone.com today or call 1-800-875-9145 to chat with one of our friendly agents. Order your Stamina AeroPilates Pull-Up Bar Accessory 55-0012 from FitnessZone.com today!